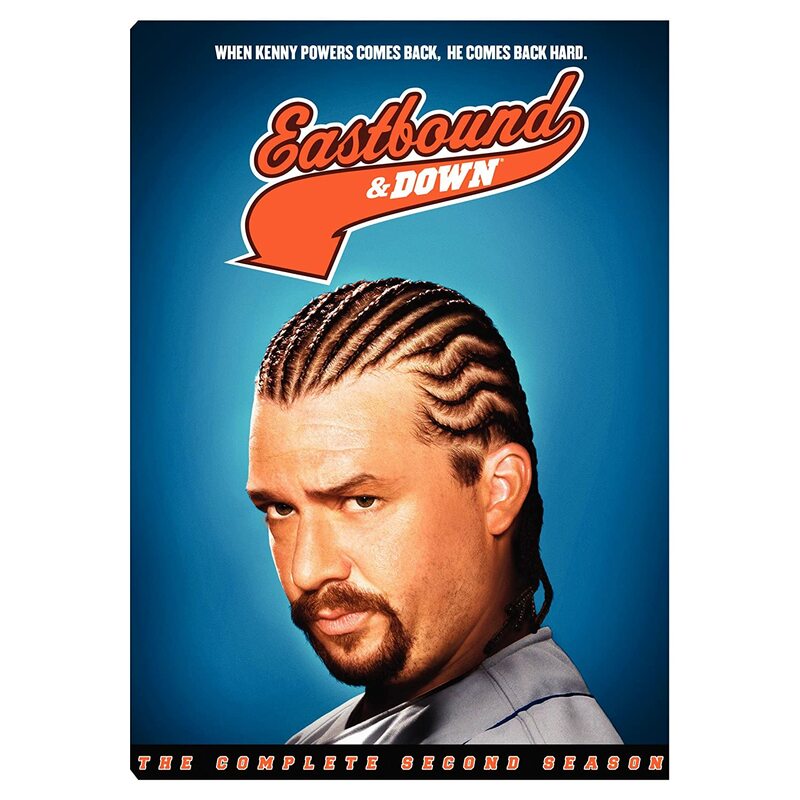 (S0304) The comedy on Eastbound & Down mostly gravitates around irony and vulgarity, neither of which is mutually exclusive of the other. Kenny’s oblivious ignorance is always a spectacle to behold as he irrationalizes his choices, forcing awkward situations on everyone he meets. And if I’ve learned anything from “Chapter 17,” it’s that I’m glad The Office never did a funeral episode, because based on my reaction to Kenny’s antics, I can only imagine what kind of physical response I’d have towards seeing Michael Scott pay his final respects. You’ve got to hand it to Kenny – he sure cleans up well. And I mean “clean up” in the most literal sense of the word, as Kenny takes his sweet time snorting and wiping down all of the evidence that ties him to the scene of Shane’s overdose. He even has the decency to give his late best bud a chance to come back from the dead to stop him from taking his truck. Kenny and Stevie arrive at Shane’s viewing early to commemorate the occasion by taking pictures with the cadaver. It only gets more painful to watch as Shane’s family arrives, which also makes you want to keep watching when it’s revealed that Shane has a clean-shaven, straight-laced twin brother named Cole, also played by Jason Sudeikis. While Kenny harasses Cole and his parents, Stevie chats up the sister, who he eventually consoles at the funeral while fulfilling his extramarital aspirations..
Kenny trails the family back to Shane’s house after the funeral home, looking for some guidance from Cole before his mental link with his twin fades forever. Cole leaves with Kenny to save his parents the grief, being led to the dorms where Shane’s girlfriend is in mourning. Kenny pulls a cruel trick by scaring her with Shane’s twin, which triggers her asthma, and Cole’s impatience. He calls Kenny out on being a deadbeat like his late brother, and exposes both of them for who they are and how they live, while noting the strange similarities between the truck they’re in, and the one described in Shane’s assets. When the funeral finally rolls around, Kenny crashes it worse than Will Ferrell in Wedding Crashers, eulogizing his friend in the most inappropriate way. In front of Shane’s friends, family, and teammates, Kenny finally declares himself Top Gun’s Maverick over Shane’s cooked Goose. He goes on to describe Shane’s decaying body inside the casket, claiming himself the sole inheritor of Shane’s powers, and then blasting Pearl Jam’s “Alive” before being chased off by Cole. Kenny’s streak of bad luck / being cursed by his son Toby continues as Cole finally proves that “Kenny’s truck” is really Shane’s (now Cole’s) truck, taking the keys and driving off with KP’s phone still in the center console. When Stevie tries to call it, Cole throws the phone out of the window, leaving his – and eventually April’s – messages to go to voicemail. All the stress and confusion finally makes Kenny sit down with his son to bond with him, which rounds off the episode's cringeworthy awkwardness, as he reads Toby stories from Penthouse while replacing all the dirty words like a mad lib.